Created from an asylum during the last year of his life, Irises has captivated art lovers through the generations. 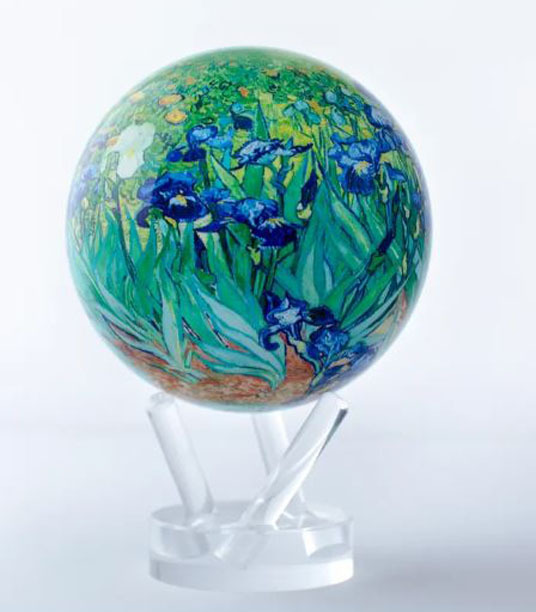 While it is stunning on canvas, adding it to our globes gives it a new level of depth. Large irises are the focal point, with a white iris among them, creating a stark contrast against the purple blooms all around it. Yellow wildflowers span into the horizon, allowing the irises to stand out even more.